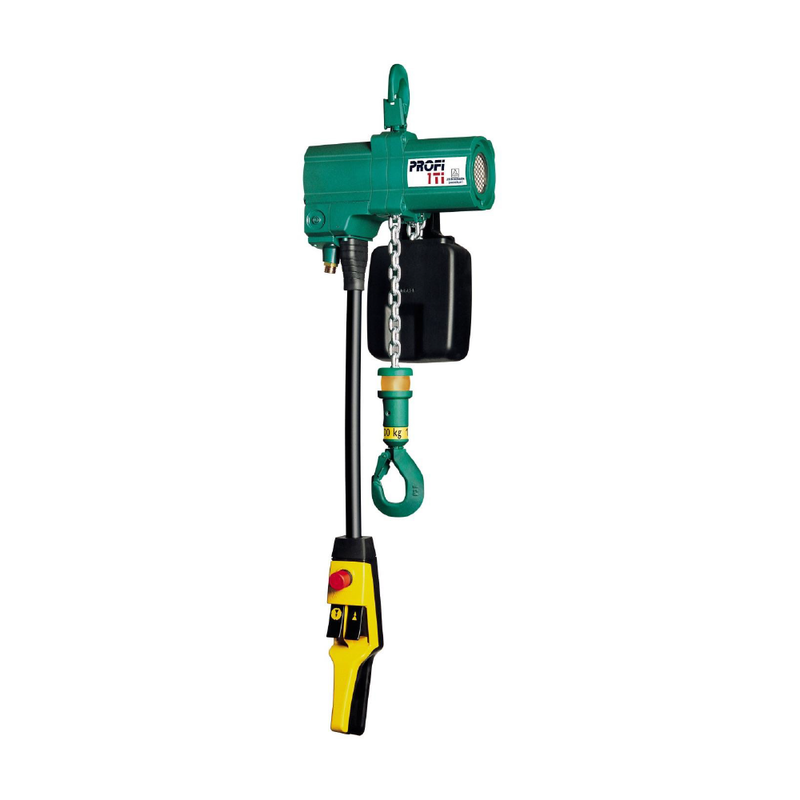 JDN Air Hoists are manufactured high quality, superior PROFI Air Hoists which are known for their robust designs. This makes the products suitable for tough industrial applications, even in continuous working processes. Safety features, as 100% duty rating and explosion protecting, are an important advantage for applications in hazardous areas. • Manufactured in Germany, under strict quality control with demanding tolerances. • All models are manufactured to comply with AS1418.2. • Patented pre-lube motor design for low maintenance, oil-free operation. • 100% duty rating and unlimited duty cycle suits all environmental conditions. • Only six atmospheres of compressed air required. • Insensitive to dust, humidity and temperatures ranging from -20 °C up to + 70 °C. • Self-cooling economic air motor which will not overheat. • Fail-safe brake, in case of air supply failure. • From 1 tonne upwards available with overload protection. • F-type sensitive infinitely variable speed control for the precise positioning of loads. • Cord control or Brass Pendant control available, as well as an electro pneumatic interface for Radio Remote control as an option. • Easy operation and low maintenance design.